Mark Donovan is the author of the thriller novels “Nano Surveillance” and “Waterkill”. 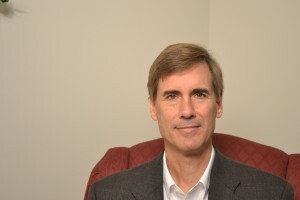 He has also authored 32 eBooks and 2,000+ articles on a wide variety of home improvement topics through his website HomeAdditionPlus.com. Many of his articles are nationally syndicated. He currently resides in New Hampshire, where he has spent his career working in various high tech engineering and marketing positions. He has a Bachelor of Science degree in Electrical Engineering and an MBA, and holds a private pilot’s license, and seven U.S. patents associated with sensor and communication technologies. I like the creativity that writing offers. I also like expressing my opinions in a more robust and thought out way. After getting some inspiration on a topic I develop an outline and storyboard. From there I begin to write the book. As I flesh out the book I often modified the outline/storyboard. I try to write the first draft of the book very fast. Then I go through several rounds of edits and modifications. Write for yourself, but listen to you editors and Gallery print readers. I chose to self-publish my books because I have had no luck contacting literary agents. Its a tough market. All I can do is focus on my writing and enjoy what I do.